Until recently FMCG companies were considered slow in adopting digital media for advertising, but not any longer. Godrej Consumer Products Ltd (GCPL) recently hired three 20-somethings for its core brand marketing team as digital managers. Rajeesh Rajagopalan, Kyle D'Lyma and Subhadeep Bhattacharya have postgraduate degrees and Google's specialist certification in communication, and previously worked with digital marketing agencies. The trio's mandate is to lead the consumer-goods maker's digital advertising campaigns. "We think about the digital plan at the drawing board stage of a brand campaign. Digital is no longer an after-thought," says Rajagopalan. But why recruit youngsters instead of more experienced professionals? Sunil Kataria, Chief Operating Officer for sales, marketing and South Asia at GCPL, explains the reason. "Most of us in the company are not digital natives but digital immigrants. So, we have hired young people to be part of our brand marketing teams and drive digital efforts across our brands," he says. Hiring youngsters for digital campaigns is part of GCPL's 'Digital Fitness' programme that it kicked off about 18 months ago to intensify its focus on various digital media platforms. Although digital campaigns make up a small part of the fast-moving consumer goods (FMCG) company's total marketing and advertising spends - it was just four per cent in 2013 - it is growing rapidly compared to spending on print and television. In 2014, the company is stepping up its digital spends by 40 per cent and plans to ramp it up to 70 per cent in coming years, says Kataria. 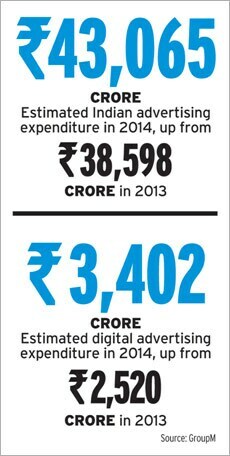 Overall, the share of digital media in the Indian advertisement expenditure is likely to rise to 7.9 per cent in 2014 from 6.9 per cent last year, according to GroupM, the media buying arm of global advertising network WPP. GCPL is not the only consumer goods maker to focus on digital media. Many other consumer goods makers are also fast realising they can no longer ignore this new medium. According to Ravi Rao, Leader (South Asia) at media buying and planning agency Mindshare, FMCG companies have increased their digital spends between 30 per cent and 50 per cent in the past one year. This is in sharp contrast to three to four years ago when only companies from the financial services, hospitality and auto were big spenders on digital media. Consumer goods companies, which unlike companies in other categories rely heavily on rural and semi-urban areas to sell their products, earlier preferred traditional media because of its wider reach and comparatively lower cost to sell everything from personal care products such as soaps and shampoos to food items. The shift in the marketing strategies of FMCG companies has been prompted by a dramatic change in consumers' media consumption habits thanks to growing use of mobile phones, especially smartphones, and the Internet. "Consumers are consuming content on varied platforms and on various devices. Therefore, a one-size-fits-all TV campaign no longer works," says Tarun Arora, Country Head of Danone Narang Beverages, a joint venture between French foods company Danone and Mumbai's Narang Group. Jayant Singh, Executive Vice President for Marketing at GlaxoSmithKline Consumer Healthcare, concurs with Arora. He says the company is looking to double its spending on digital advertising this year. "We are going where the consumer is and wish to engage with them through innovative digital programmes. We are reaching out to them as an untapped, core potential audience." Until a few years ago most companies looked at online as yet another platform to air their TV commercials. This is not the case any longer. FMCG companies are looking at digital media as a separate platform to engage with their target audience. They seek feedback on their TV campaigns, invite suggestions to name their upcoming brands and even take up social issues. Zafar Rais, CEO of digital marketing agency Mindshift Interactive, says one of the earliest campaigns that encouraged FMCG brands to take digital seriously was almost four years ago, when Nestle synced its print ad for Nescafe coffee with social media and asked people their feedback. "That changed the mindset of FMCG brands," he says. 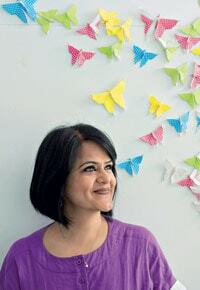 Perhaps the most successful digital campaign in the country by an FMCG company has been run by Hindustan Unilever (HUL). The consumer goods giant last year launched a free mobile radio entertainment channel called Kan Khajura Tesan, which can be loosely translated as Centipede Station, in Bihar and Jharkhand. To access the content, a mobile phone user gives a 'missed call' - the call here gets disconnected automatically after two rings - on a given number. The user is then called back and gets to listen to songs, jokes and, of course, HUL advertisements. The idea behind the campaign was to reach out to consumers who do not have access to TV, radio or the print medium but have a mobile phone. Over the past seven months the radio station has reached out to more than nine million subscribers and HUL ads have been heard 85 million times, the company says. HUL now plans to roll out the channel in other regions. When ITC last year launched the Vivel skin nourishing range of soaps, it held a contest to search for ingredients on Facebook. "The emergence of newer interactive digital platforms and online social networks has led to a paradigm shift in brand communications. We have been strategically investing in all aspects of digital," says Nilanjan Mukherjee, Head of Marketing for ITC's Personal Care Products Business. Similarly, Danone Narang chose the brand name of its vitamin-enriched flavoured water after interacting with consumers on social media, says Arora. "We talked about our brand on various social media platforms and asked consumers to give their feedback. We got over 50,000 responses and that's how the name 'Blue' came about," he says. Consumer goods companies are not just using digital media to increase awareness about their brands among consumers. They are also using it to change brand perception. Cosmetics maker Modi Revlon is one such company. It hired ad firm VML Qais to launch a digital initiative about a year ago. Tripti Lochan, CEO, VML Qais, says Revlon's target audience is younger women, but the common perception among them was that the brand related to the older generation. "In order to make the brand look contemporary, digital media became imperative as most young women are digital natives," says Lochan. Revlon India now has close to one million fans on social networking site Facebook alone. Dimsy Mirchandani, Revlon's Marketing Manager, says some lipstick and other make-up variants that the company launched after their digital campaign boosted sales by nearly 20 per cent. Despite the recent shift in advertising strategies by FMCG companies, digital is not yet eating into their traditional media spends as yet. According to Arora of Danone Narang, one can't write off TV and print, unless there is a dramatic change in consumer behaviour. "Digital is beginning to play a huge role in awareness building, engagement with consumers and creating intent to buy a product," he says. "But it has still not started to replace traditional media." CAMPAIGN: Confectionery giant Mondelez rolled out a digital campaign for a new variant of its best-selling Oreo cookies in May this year. The campaign, on social networking site Facebook and microblogging site Twitter, aimed at communicating how the Oreo Cookie and the new variant, Orange CrÃ¨ me, blend beautifully together. 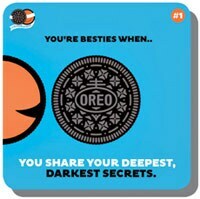 The campaign reinforced this connection between them and narrated tales of them as #OreoBesties, while engaging Oreo's fan base with multiple activities. The first leg of the campaign was a selfie contest. Oreo's #BestieSelfie ran for three days where users were asked to share their and their best friends' wacky self-portrait photographs. The second leg was a #ShoutOut between the two - #OreoBesties Cookie and Orange CrÃ¨ me -where one would shout out something and fans had to guess what the other would reply. In the third part of the campaign, people were asked to complete the sentence #YouAreBestieswhen. IMPACT: The campaign reached more than 600,000 people on Facebook and generated close to 300,000 impressions on Twitter. (Impressions are the number of times a post or tweet is displayed). 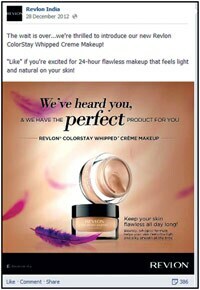 CAMPAIGN: When Revlon India launched the Revlon ColorStay Whipped CrÃ¨me Makeup foundation, engaging customers in an innovative way was a challenge. This is because foundation as a product isn't as exciting as lip colours or nail enamels. Revlon went out to understand what women wanted from their beauty products, specifically foundation. It kicked off a digital campaign with a series of polls conducted on its Facebook Page over two weeks. The survey revealed some interesting findings. For instance, it found that about 80 per cent of those polled used their fingers to apply foundation. The company then launched the product through its Facebook page and also created seven USP images - each of which addressed a finding from the poll.